A video you can’t wait to share begins with a script and storyboard you’ll never forget. At NextThought Studios, we know video pre-production is perhaps the most important element of video development. Pre-production creates the foundation you need for your visuals, voice-overs, animations and other breathtaking elements to tell your story. Designing: Our creative directors and staff members help you pinpoint all the essentials of your project in design meetings before production starts. During these meetings, you’ll meet with a design team to help comb through the details of your project and make sure to start us on the right track. This includes setting a pre-production schedule and budget that meets your needs and pinpointing the essential messages in your content that will resonate with your audience. By establishing these basic needs from the start of the project, the creative directors can set appropriate project goals.This means you’ll rest assured your project is going to get accomplished on time, within budget and up to your quality standards. Scripting: An engaging script is the first step toward making an engaging video. Using your lesson information and the essential messages you pinpointed in the design meetings, writers and designers develop a script designed to build on those messages while keeping your audience interested and engaged. 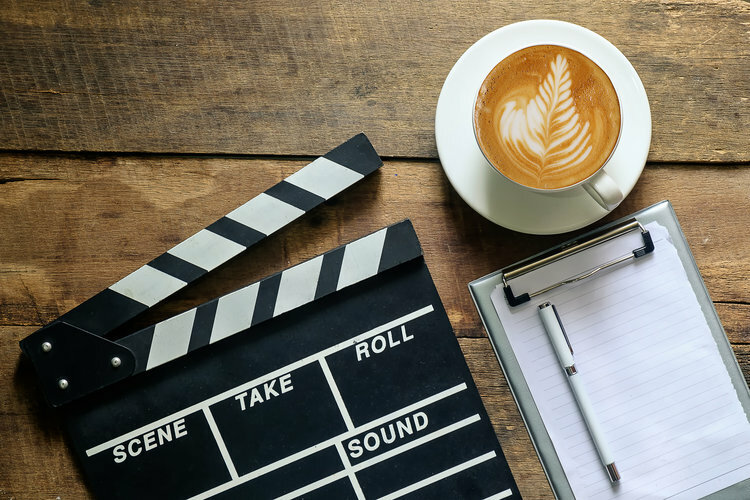 Because they’re so important to the rest of the process, our scripts go through a thorough review processes before going further down the production line. The project manager, the Director of Video Operations, the project editor and the client themselves all review scripts before they go to the storyboarding process. Storyboarding: Storyboarding brings your project to life with a shot-by-shot guide set to the beat of your script. With a clear storyboard, you get a vivid idea of what your video will look like before the cameras start rolling. This both gives you a chance to make any final adjustments and prepares you and your staff for the kinds of shots the production team will need. Why Use a Pre-Production Company? Video pre-production planning prepares your video production process by setting clear goals and requirements before the camera starts rolling. This way, you get the right format and location based on your goals, have the team ready to address all of the possible needs and concerns and have the ability to adjust the particulars before the production process gets underway. The biggest benefit you’ll get by working with NextThought Studios on pre-production services is the assurance that you have everything in place when it comes time to shoot your video. This cuts your video production time. By lining up everything and everyone you need beforehand, from sets and lighting to designers and directors, we can produce your video more efficiently. With shorter production time and better quality control, we can ensure a cost-effective video. By cutting production time and only using as much equipment as you need for your project, you reduce equipment costs, labor and other incidentals, reducing your final bill. By working with a pre-production video company, you can ensure that the video produced meets your quality standards. By skipping pre-production, you risk the chance that your production company makes a video that misrepresents the information you want to give, or otherwise doesn’t meet your quality standards. By meeting with a design crew and getting involved in the pre-production process, you effectively guarantee that the crew has everything they need to make the best video possible. This also reduces the chance that you’ll need to remake or reshoot the video down the line. Get the pre-production services you need by working with NextThought Studios and you’ll be on your way to a video product that’s respectful of your needs and engaging for your audience. At NextThought Studios, we think the video pre-production process should never be a roadblock to your production. That’s why we offer full pre-production services on-site. Our pre-production studio can handle your project, regardless of its size. Whether you need just a little visual fine-tuning of an existing project or want to create a video from the ground-up, we can help you fully realize your vision. Ready to create engaging videos and user content? We’re ready to help. Contact NextThought Studios today to set up a meeting with our video production team and start pre-planning your next video by filling out the form.